The one thing I do not like is a sweaty waiter who rushes me through my order, after I have waited for fifteen minutes, simply because they are short-staffed. 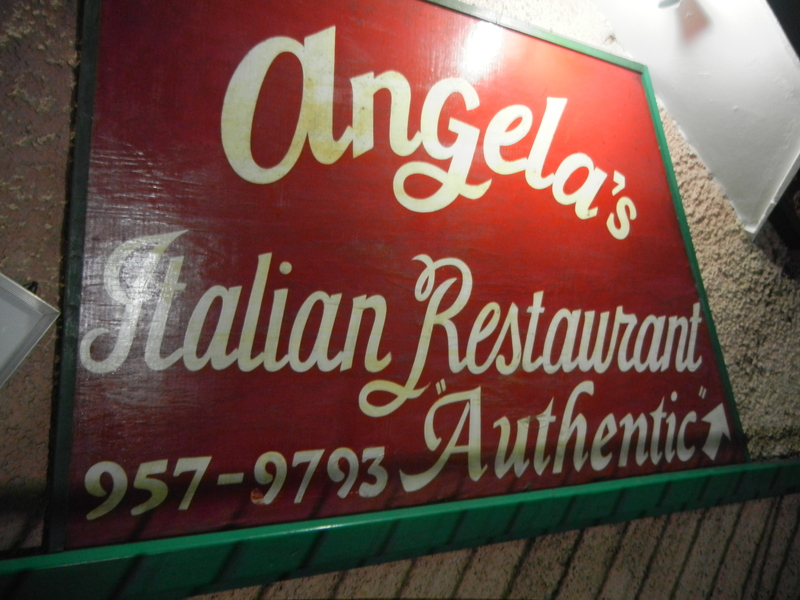 The scene at Angela’s Italian Restaurant was like a murder plot gone bad. First, there was only one cook and one waiter plotting to feed a room full of people and cover up the evidence all by themselves. Second, the waiter was sweating profusely because he was running around the room trying to serve everyone at the same time; this resulted in his face dripping sweat, which he wiped on the back of his shirt sleeve. And the worst part…the back of his shirt was soaked with sweat and showed signs of drying and rewetting…yew! Dead give away…nervousness. At least he did not break altogether, he stayed polite and kept on smiling, which is more than I can say about the cook. She was the one who broke under interrogation; every time an order was placed she started cussing and frowning . I and I food must be blessed and prepared by some one who enjoys cooking. Anyways, I ordered chicken Marsala and got something to the effect of chicken fried in burnt oil tossed on top of noodles, which happened to taste the same as the other dish that was ordered. So you the jury must decide for yourself who is guilty here of several crimes…murdering elegant dining in Jam Rock and the Italian Cuisine, while attempting to cover up the evidence. It may have been an off night…but please do not let the beautiful view of the ocean and the classic Italian decorations distract you from your verdict. © Sheryl Stark and Wonders of Jamaica, 2011. Unauthorized use and/or duplication of this material without express and written permission from this blog’s author and/or owner is strictly prohibited. Excerpts …and I do not considered myself to be an expert…and links may be used, provided that full and clear credit is given to Sheryl Stark and Wonders of Jamaica with appropriate and specific direction to the original content and pictures. 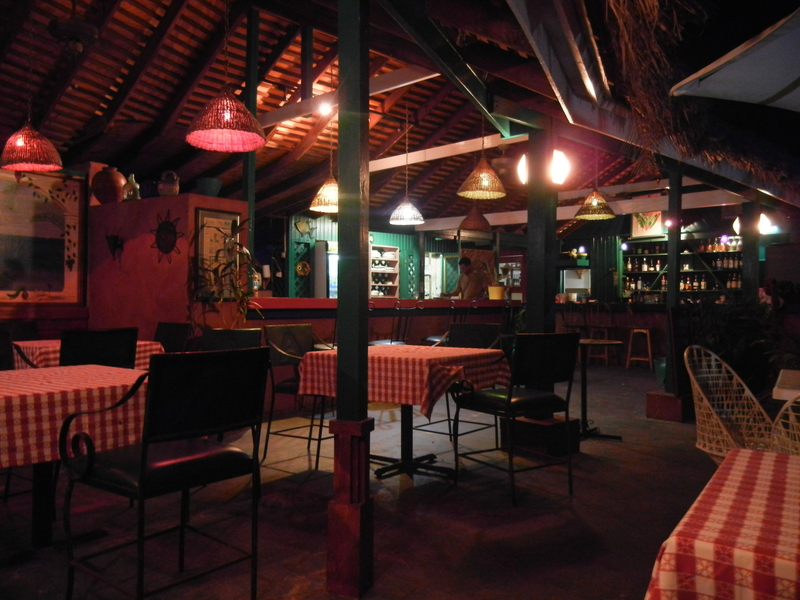 This entry was posted in Dining, Negril and tagged Angela's italian Restaurant, Food, Italian cuisine, Jamaica, Travel and Tourism. Bookmark the permalink.